Experience easy and efficient transfers between Manila and the stunning island destination of Puerto Galera! Enjoy your travels in a modern bus and ferry and delight in sightseeing activities on the way! Experience quality service in the hands of Puerto Galera’s leading transfer service – Si-kat Ferrybus! Fast efficient and friendly would use them again the bus condoctor was great !! Reach the dazzling seas and lush mountain landscapes of Puerto Galera in no time! 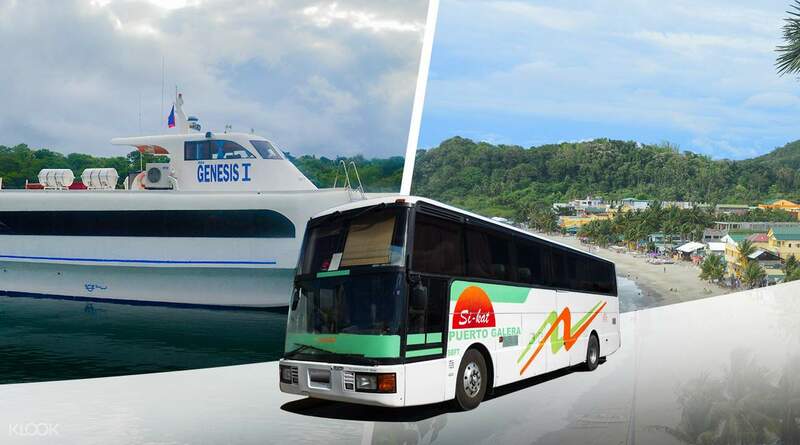 Secure reliable transfers between Manila and Puerto Galera aboard the Si-Kat Ferrybus, the island’s leading transfer service! Just hours away from the bustling capital of the Philippines, escape to the island’s exotic embrace by traversing roads and oceans with ease. Waste no time in planning your commute and let professional English speaking drivers navigate the routes for you! From Manila, depart by bus and travel to Batangas Pier where your ferry awaits. Cruise along the vast expanse of the sea and speed towards the horizon while enjoying comfortable seats and media amenities. 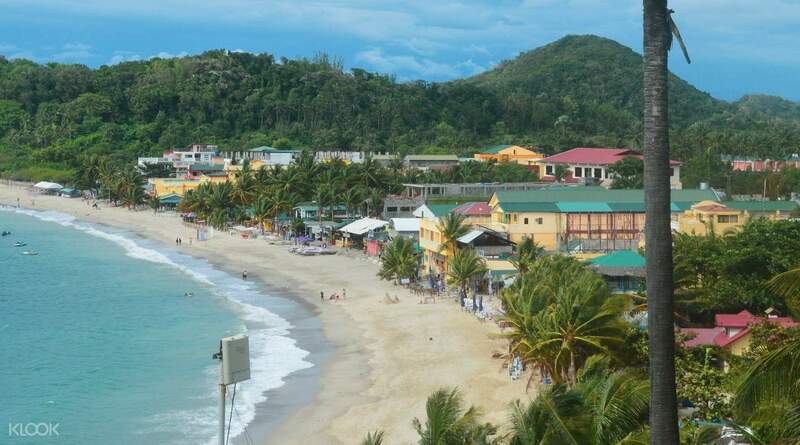 Arrive at Puerto Galera and make quick work of settling into your respective hotels to immediately start exploring! Leave your commute plans to experienced drivers – sit back, relax, and just enjoy the ride! Very comfortable, cheep and fast way of travelling. Everything went well, changed the voucher to a ticket at city state tower hotel. Friendly staff explained everything and guided us through the port. Highly recommended. Very comfortable, cheep and fast way of travelling. Everything went well, changed the voucher to a ticket at city state tower hotel. Friendly staff explained everything and guided us through the port. Highly recommended. The bus counter in Citystate Hotel was easy to find, friendly staff, the bus was exactly on time, a bit old but felt still safe. Good driver for the 2 hour drive, including one bathroom break. This was the positive part of the trip. The very bad part is the ferry boat. Sikat contracts with Genesis, their boat is usually late, and totally cramped due to its small size. The aircon blows relentlessly at 19 degrees, the seats are Filipino size, yet most of the passengers are foreigners, and when they put 3 foreigners in a row that's intended for 3 Filipinos the 2 hour trip is more than unpleasant. Also there is no walking room in this miniboat, so the lack of legroom becomes really uncomfortable. There are also boats from other shipping companies in Batangas, but unfortunately Klook decided to use Genesis. For me the boat part is the reason I will not book this offer again, better to take Jam Liner from Buendia and buy a ticket for a real boat at Batangas pier. The bus counter in Citystate Hotel was easy to find, friendly staff, the bus was exactly on time, a bit old but felt still safe. Good driver for the 2 hour drive, including one bathroom break. This was the positive part of the trip. The very bad part is the ferry boat. Sikat contracts with Genesis, their boat is usually late, and totally cramped due to its small size. The aircon blows relentlessly at 19 degrees, the seats are Filipino size, yet most of the passengers are foreigners, and when they put 3 foreigners in a row that's intended for 3 Filipinos the 2 hour trip is more than unpleasant. Also there is no walking room in this miniboat, so the lack of legroom becomes really uncomfortable. There are also boats from other shipping companies in Batangas, but unfortunately Klook decided to use Genesis. For me the boat part is the reason I will not book this offer again, better to take Jam Liner from Buendia and buy a ticket for a real boat at Batangas pier. Finding and embarking on the bus outside the Tower Hotel was a no-sweat experience, as was the ride to Batangas. Although, when we had arrived, we had to take another boat than the planned one and therefore arrived at a different harbour in Puerto Galera. Well, well - a short tricycle ride for 100 pesos fixed the problem and I was back on track to my dive resort. Finding and embarking on the bus outside the Tower Hotel was a no-sweat experience, as was the ride to Batangas. Although, when we had arrived, we had to take another boat than the planned one and therefore arrived at a different harbour in Puerto Galera. Well, well - a short tricycle ride for 100 pesos fixed the problem and I was back on track to my dive resort. great service, very friendly staff, you feel assisted all the time, ...although transportation is not always easy in the philippines, sikat makes everything to make you feel comfortable and stress free. Hope for further investments and expansion of this service, overall a big thanks! great service, very friendly staff, you feel assisted all the time, ...although transportation is not always easy in the philippines, sikat makes everything to make you feel comfortable and stress free. Hope for further investments and expansion of this service, overall a big thanks! Klook made my Lenten Season vacay worry-less. I booked my transpo to Puerto Galera through Klook, no delays, no challenges getting a ride to and from PG. Klook made my Lenten Season vacay worry-less. I booked my transpo to Puerto Galera through Klook, no delays, no challenges getting a ride to and from PG. Guides are very attentive. Very helpful information were discussed during travel. Hassle free travel. tickets were handed accordingly. Step by step events were discussed. Guides are very attentive. Very helpful information were discussed during travel. Hassle free travel. tickets were handed accordingly. Step by step events were discussed. Overall this is my favorite way to travel to Galera now. So easy and hassle free! You'll find the process very pain free. Meet up at the point and the rest you'll have a guide to take you right to the boat. I will mention that there are quite a few delays all this isn't the fastest option as the bus doesn't leave on time, they have 15 minute stop over (for a 2 hour bus ride), and you have to wait on the bus at the port for your tickets... Even with the delays I highly suggest it. One hidden cost that they don't tell you about is the terminal fee which they collect on the bus. I'm not a fan of hidden fees and hopefully the team will update the Klook entry with those fees that you have to pay. Overall this is my favorite way to travel to Galera now. So easy and hassle free! You'll find the process very pain free. Meet up at the point and the rest you'll have a guide to take you right to the boat. I will mention that there are quite a few delays all this isn't the fastest option as the bus doesn't leave on time, they have 15 minute stop over (for a 2 hour bus ride), and you have to wait on the bus at the port for your tickets... Even with the delays I highly suggest it. One hidden cost that they don't tell you about is the terminal fee which they collect on the bus. I'm not a fan of hidden fees and hopefully the team will update the Klook entry with those fees that you have to pay.